The Employment Act (EA) is Singapore’s main labour law which provides the basic terms and working conditions for all employee. On 5th March this year, the Ministry of Manpower announced plans to expand the fundamental coverage of the EA. This was a response to a fast-changing workforce where the number of PMETs (professionals, managers, executives and technicians) have increased exponentially. In this article, we explain what the proposed changes to the EA entail, the new initiatives that accompany the Act and how you will be better covered when its changes are implemented by 1st April 2019. A change in the role of the Employment Claims Tribunal – the Tribunal will now hear wrongful dismissal claims as a one-stop avenue for employers and employees. Previously, the Ministry of Manpower would hear and process such claims. If you are currently employed as a PMET, you will be covered under the Employment Act when it is amended in 2019. Previously, the EA only extended to three groups of people. First, workmen who are manual workers or blue-collar workers; second, non-workmen who are non-manual workers or white-collar workers and third, some managers and executives earning below S$4,500. The removal of the salary threshold of S$4,500 means that the EA will now cover all employees, including PMETs. Hence, core employee benefits in the EA will also extend to all PMETs,, bringing coverage to an additional 430,000 PMEs. However, public servants, domestic workers and seafarers will be covered separately by other Acts because of the nature of their work. As a PMET, this means that you will be entitled to benefits such as mandatory annual leave, paid public holidays, paid sick leave, paid hospitalization leave, as well as the right to preserve existing terms and conditions for any employment transfer due to a sale of business or business restructuring. The EA ensures that you have these rights and that you can enforce them if your employer fails to fulfil his or her obligations. If you are a non-workmen (typically white-collar rank-and-file workers such as clerks), greater protection will be extended to you on hours of work and overtime payment, after the amendments. The current salary cap of $2,500 will increase to $2,600. For overtime pay, the salary threshold will be further revised upwards, from $2,250 to $2,600. Currently, all salary-related disputes are heard at the Tripartite Alliance for Dispute Management (TADM) and resolved via mediation. If unresolved, the claims are then heard at the Employment Claims Tribunals (ECT). However, wrongful dismissal claims are heard by the Ministry of Manpower (MOM). As dismissal-related claims are usually coupled with salary issues, affected employees have to take the trouble to visit two different bodies to resolve their issues. With the amendments, the Employment Claims Tribunal will now hear wrongful dismissal claims. As our platform economy grows, there is also an increasing number of freelancers and self-employed persons (SEPs). SEPs are persons who operate their own businesses and includes freelancers such as graphic designers and tour guides. To ensure the sustainability of self-employed work, the Tripartite Standard was launched. It represents a set of guidelines on the best practices for engaging services from SEPs. SEPs can identify and contract with businesses who have adopted the standard. The businesses then need to discuss and agree clearly with the SEP on its terms of engagement, including the range of services to be delivered, project timelines and milestones. With regard to payment, the written key terms include the amount of payment due for each product or service and the due date of the payment. The agreements may also include a variation or express termination clause. To this end, the Tripartite Standard helps define the relationship and working expectations between businesses and SEPs. This will help reduce disputes between businesses and SEPs and improve local productivity growth. In the same debate, Mr. Lim also stressed that the slower growth of the workforce is a problem to the Singapore’s economy. In a bid to strengthen Singapore’s local core, Mr. Lim highlighted the continual effort to enhance employment and employability of Singaporean PMETs. One key amendment that has taken place since 1 July 2018 is that companies with at least 10 employees and looking to hire for jobs paying less than S$15,000 a month will need to advertise for such a position on the national Jobs Bank for at least 14 days before they can hire a foreigner. This is intended to give more Singaporeans a chance to apply for such high-quality jobs. In ensuring a balance between being pro-worker and pro-business, MOM announced its openness to the intake of foreign professionals, subject to the tightening of certain rules. First, Employment Passes (EPs) will be more critically scrutinized to regulate the growth of EP holders and to increase the quality of foreign employers entering the country, at the same time. Second, the minimum qualifying salary to apply for an S-Pass or pass for foreign mid-level skilled staff will be increased from S$2,200 to S$2,400. MOM wishes to continue this trend. In doing so, Singaporeans will also learn more from their experienced foreign counterparts. This helps support a quicker pace of industry transformation, boosting global competition and enhancing investment opportunities. Significant strides have been made in Singapore’s efforts to reduce workplace fatality injuries. In an effort to ensure that Singapore’s workplaces remain among the safest and healthiest in the world, the WSH 2028 Tripartite Strategy Committee or WSH 2028 Committee was launched. They will be consulted widely during the Committee’s work. Increasing WSH ownership among companies and all workers, whether a C-suite executive or a rank-and-file worker. Increasing the integration of workplace safety with workplace health by examining ways companies can detect and reduce safety and health risks. Increasing WSH capabilities of companies and workers by improving the quality of WSH professionals and training providers. Reviewing the regulatory regime to ensure that it remains effective, differentiating its approach in enforcement based on the track record of the company. Have a question on employee rights? 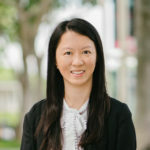 If you have any questions on employee rights or employment law, you may get a Quick Consult with Lau Kah Mei or lawyers with similar expertise. With Quick Consult, a lawyer will call you back within 1-2 days and answer all your questions from a transparent, flat fee from $49. This article is written by Lau Kah Mei from LKM Law Corporation and edited by Isabella Tan of Asian Law Students’ Association.